Another dose of all things that I received via Twitter. Some interesting stuff. One thing I have realized is that I picked a great time to start blogging and Tweeting because there is so much going on with Education! 1.) Fun Facts from the RtTT (Race to The Top) Applications - This is an interesting look at the applications submitted by the states. Is it a good thing that Kentucky is not on the list? 2.) Looking for a resource to share with your staff about the expectations of teachers in the 21st Century? Here is a great list of the 21 Things for 21st Century Educators! 3.) For all of us using Blogger, they now have a highly customizable templates designer. 4.) Teaching Geometry with Google Sketch Up - Yeah, I got a bad grade in Geometry, but for those of you that didn't, maybe you can understand this more than me. 8.) From the Teacher Tech Blog - 50 Web 2.0 Tools Your Students Wish You Would Use - It will link you to a Google Site. Interesting Stuff. 10.) 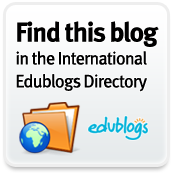 From the Educational Technology Guy - Free Educational Technology Journals and Resources. 11.) Get the Exact Time and know if how much off your computer or iPhone is. There were some others I found on Twitter. Some of them I shared on my Articles page. It was rather busy, so I did not get to look through all my PLN was saying very much this week. Will be another busy week. State High School Basketball Tournament. No one does it like Kentucky! I agree, this is a great time to be an educator connecting with others via Twitter! 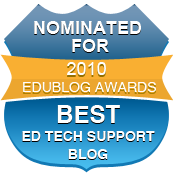 Thanks for including iLearn Tech in your list!